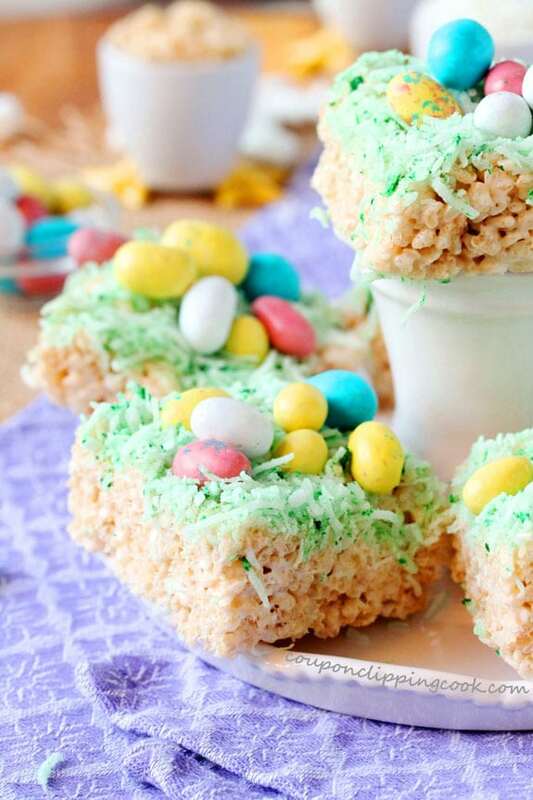 An Easter twist on a classic finger food dessert. Krispie treats are so fun and colorful. Not to mention that they’re also super easy and quick to make. 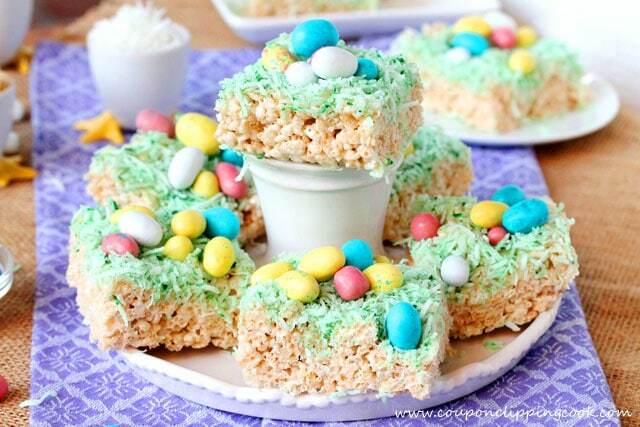 Here’s a festive idea for krispie treats with an Easter twist using malted milk mini eggs and green-colored coconut as a topping. I just love the mini malted milk Robin eggs that are available in the stores for the Easter holiday. They’re so cute and of course they taste really good. 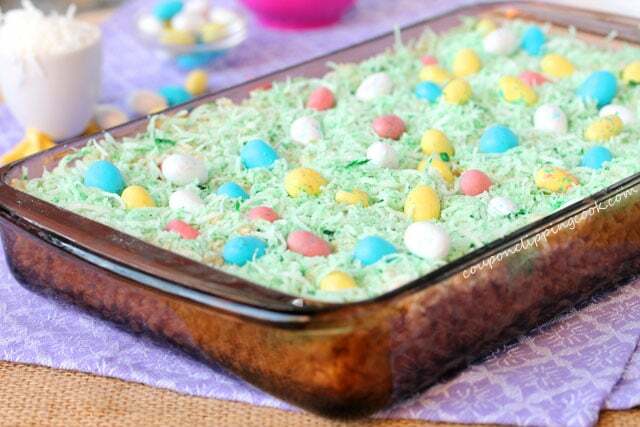 At the same time when I was thinking about what kind of Easter treat I could make out of krispie treats, I was also trying to think of what cute treats I could make out of the mini Robin candy eggs I had just bought. So the combination of the two worked out great. 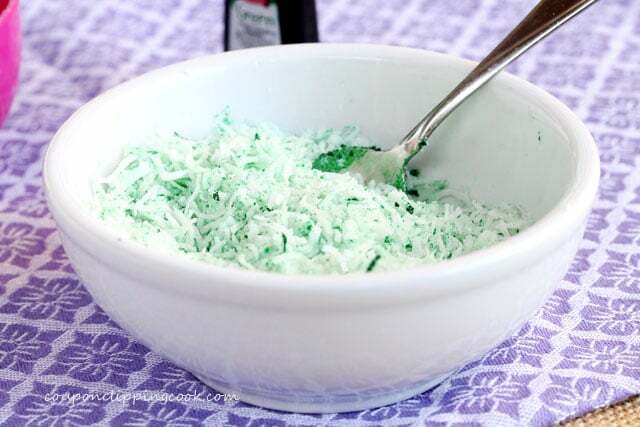 I especially love how quick and easy it is to make edible Easter grass out of shredded coconut and green food coloring. 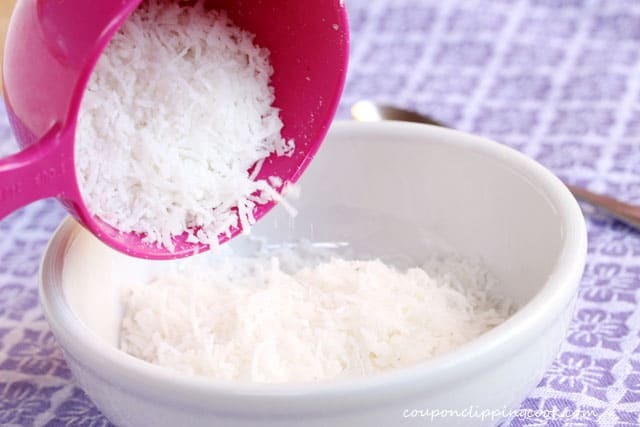 In this recipe, any pastel color would look good as the shredded coconut grass. Pink, light purple, or light blue would be really cute, or a combination of those colors would be fun too. 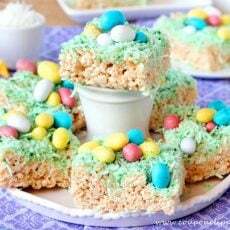 So here’s to fun, colorful, and easy-to-make treats for Easter or anytime. Let’s check out the ingredients for these colorful krispies. 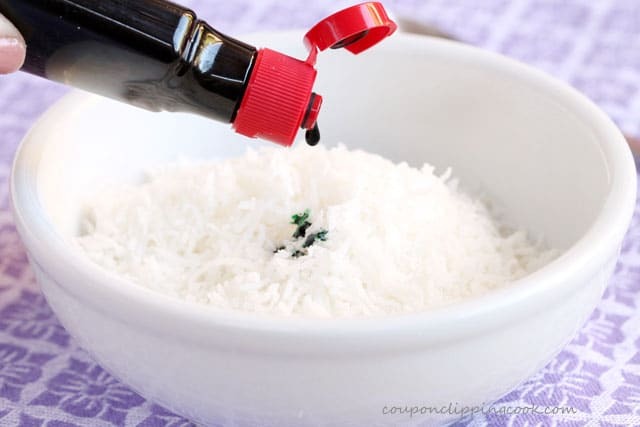 stir together until the pieces of coconut are covered in green. Set aside. 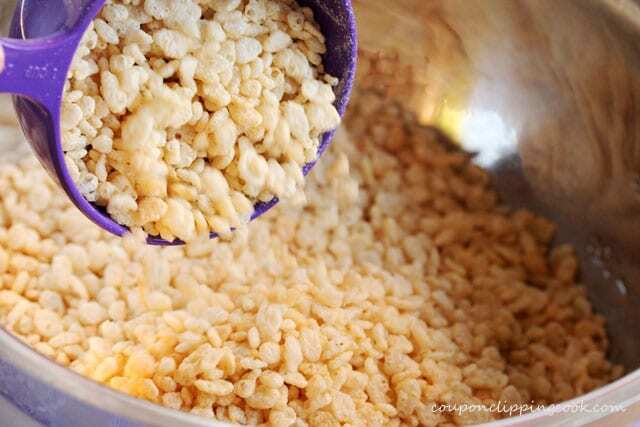 In a large bowl, add the puffed rice and set aside. 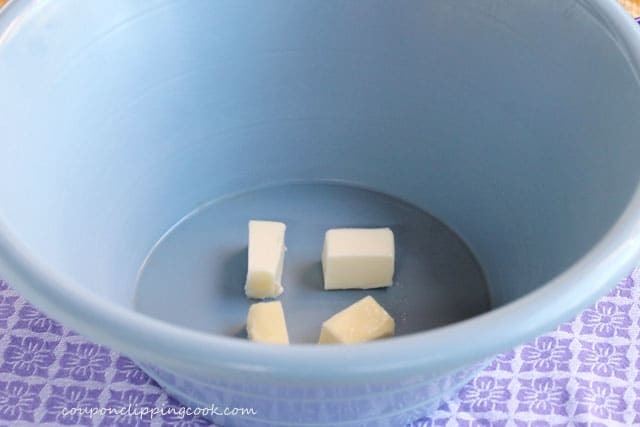 Lightly coat a large casserole dish with butter or non-stick cooking spray. Set aside. …and marshmallows. Put the bowl in the microwave and cook for 1 minute. Stir, and if needed put back in the microwave for another 45 seconds or until the marshmallows and butter are melted. 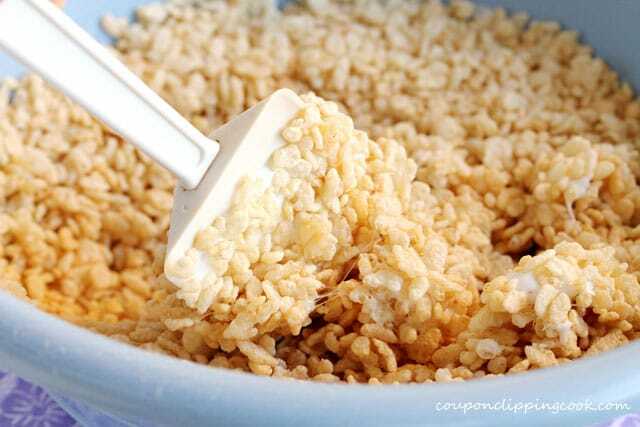 add the cereal mixture to the casserole dish. 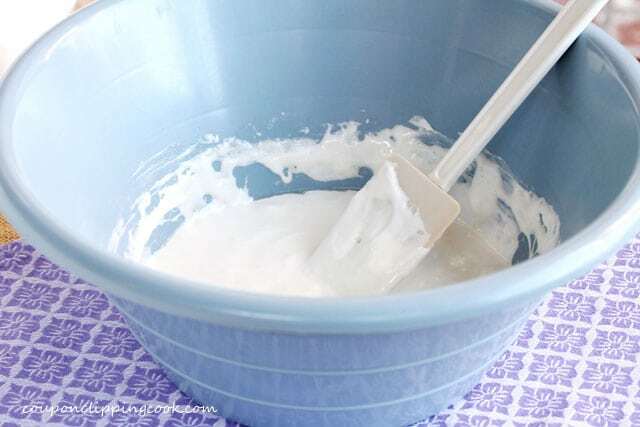 Use a buttered spatula, wax paper, or add water to your hands to gently press the mixture evenly into the dish. 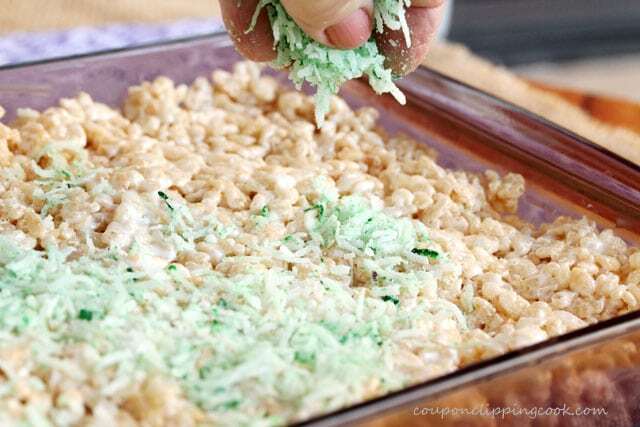 Quickly, while the marshmallow is still sticky, sprinkle the green coconut on top and lightly press it down onto the cereal. On top of the “green grass”, lay out the candy eggs in random places and push them down slightly into the cereal mixture. 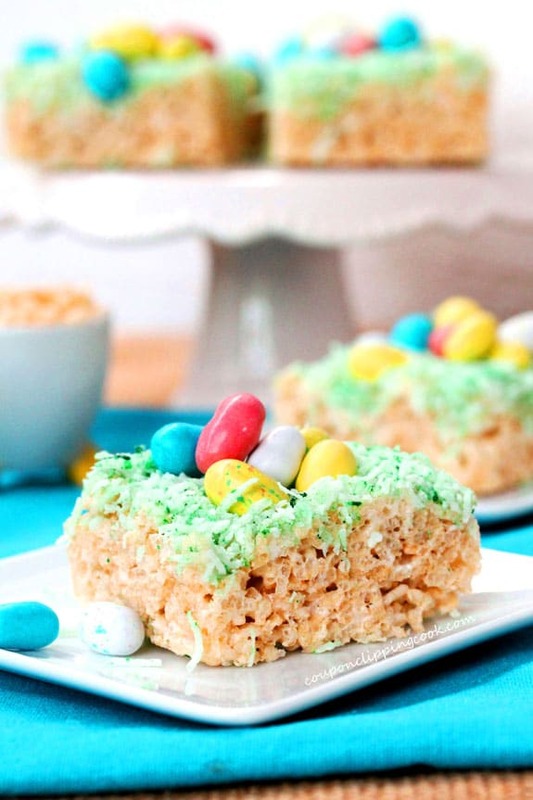 While placing the candy eggs on top, try to leave small linear areas clear from the eggs so that the krispies can be cut into squares. 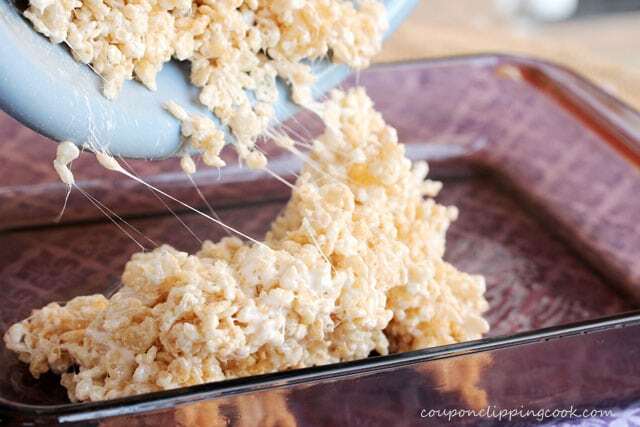 TIP – If transferring the Krispie squares to a serving plate, do a quick test to make sure that they won’t stick to the plate. If they do stick, set the squares on a parchment paper-lined plate or serving dish. 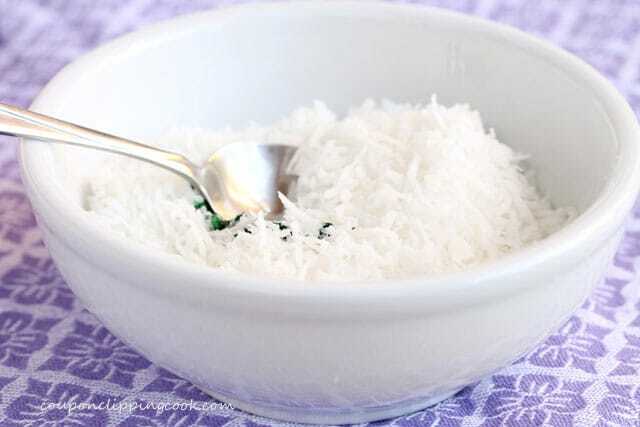 In a small bowl, add the shredded coconut and the green food coloring. 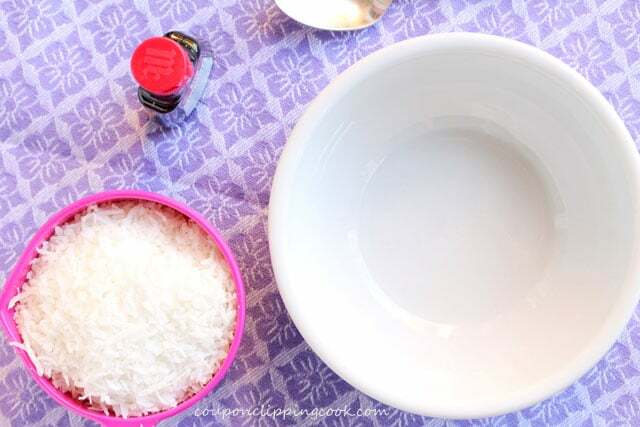 stir together until the pieces of coconut are covered in green. Set aside. 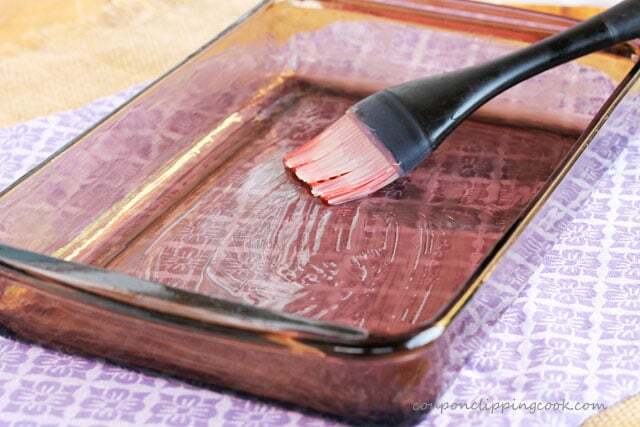 Lightly coat the inside of a casserole dish or pan with butter or non-stick cooking spray on the bottom and sides. Set aside. In a large bowl add the cereal and set aside. 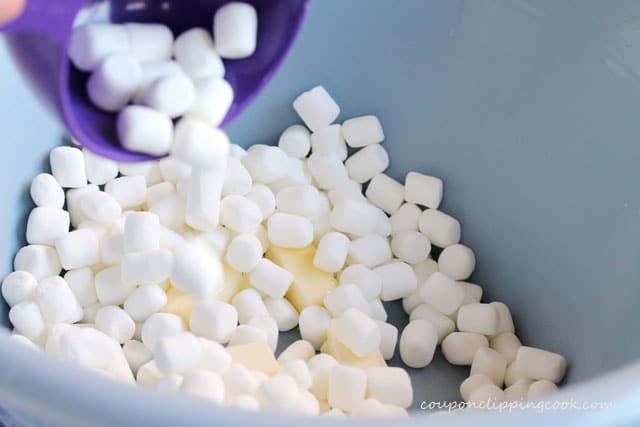 In a large size microwavable bowl, add the butter and marshmallows. Heat the marshmallows and butter in the microwave for 1 minute. Stir and put back in the microwave if needed for another 45 seconds or until the marshmallows and butter are melted. Stir together until smooth. 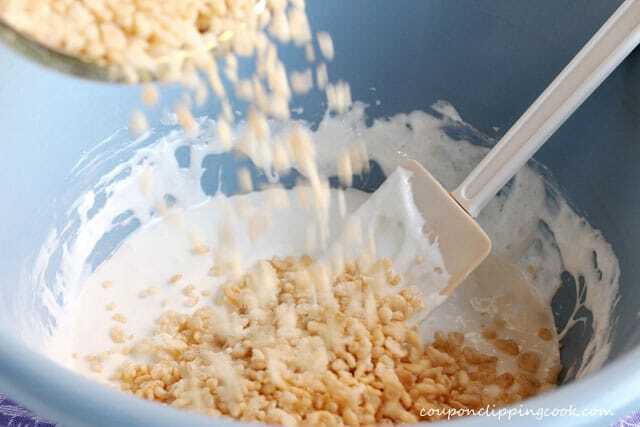 Add the marshmallow mixture to the bowl of cereal and gently stir all ingredients together until the cereal is coated. 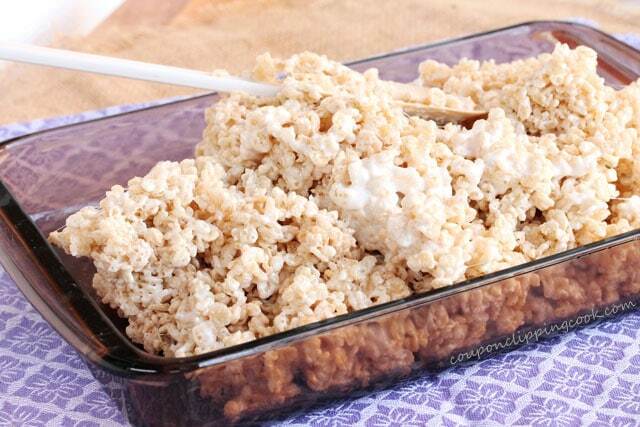 Transfer the marshmallow and cereal mixture into the greased casserole dish or pan. On top of the "green grass", lay out the candy eggs in random places and push them down slightly into the cereal mixture. 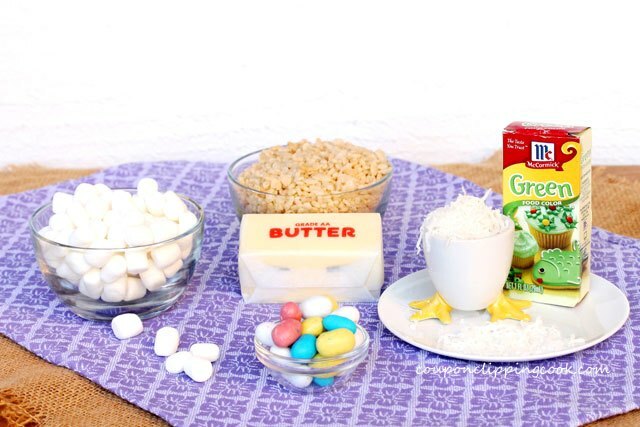 While placing the candy eggs on top, try to leave small linear areas clear from the eggs so that the krispies can be cut into squares. Let cool, cut into squares and serve. 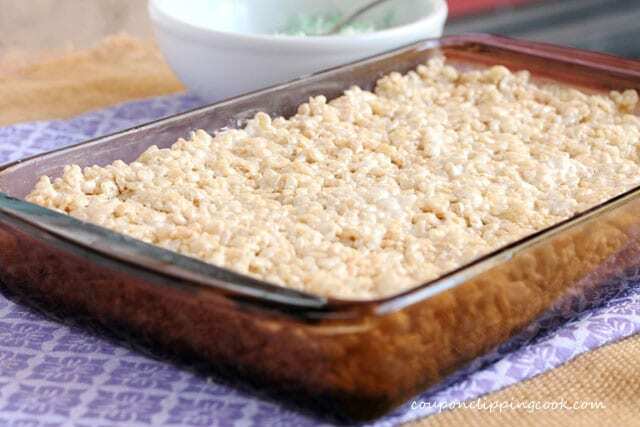 If transferring the Krispie squares to a serving plate, do a quick test to make sure that they won't stick to the plate. 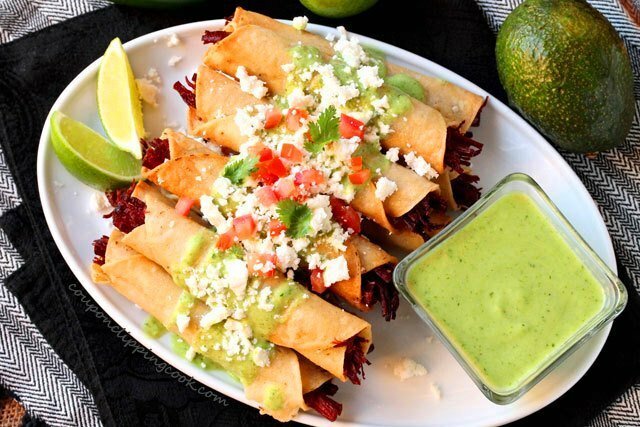 If they do stick, set the squares on a parchment paper-lined plate or serving dish. The recipe was originally posted on March 26, 2015.